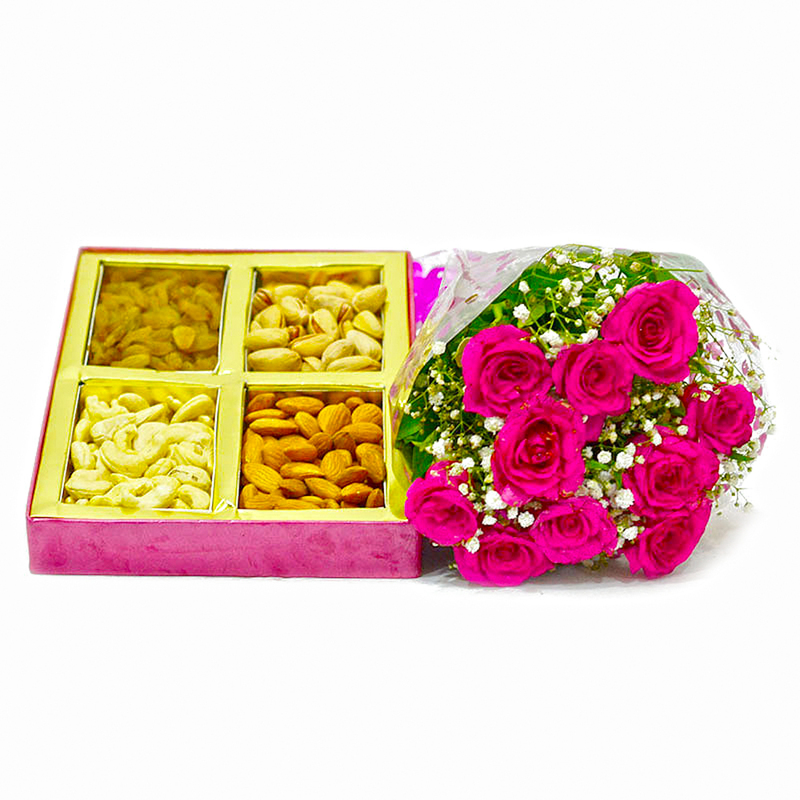 Product Consists: Bouquet of 10 Pink Roses along with Mix Dry Fruit in a Basket (Weight : 1 kg). You are away from your loved ones on very special day or are you travelling and will miss your wedding anniversary or Valentines Day then you needs to send the perfect gift. 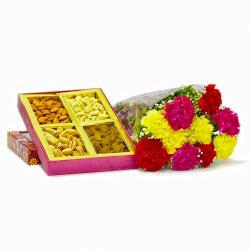 This is popular choice of combo of bouquet of pink roses with mix dryfruits is he perfect gift for all these occasions like Birthday, Anniversary, Wedding, Pongal, Ganesh Chaturthi, Fathers Day and more. Place online and it will be delivered at your doorstep at your chosen time. We also have midnight delivery services or same day delivery for that last minute, urgent orders. So wait no longer - buy online these fragrant flowers that denote your true love and these wonderful roses and dryfruits that simply healthy. Along with this, send other Gifts to India through Giftacrossindia.com to be delivered in a safe and speedy mode. 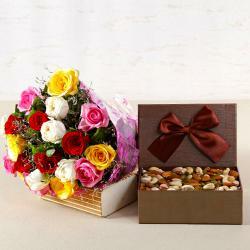 This gift hamper contains : Bouquet of 10 Pink Roses along with Mix Dry Fruit in a Basket (Weight : 1 kg).